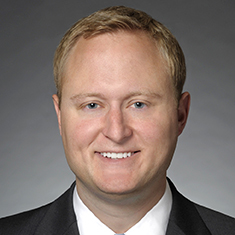 James Brady concentrates his practice in financial services regulatory matters. James has advised buy-side and sell-side clients, as well as trading facilities and clearing houses, on a wide range of legal and compliance matters, including Securities Exchange Act and Commodity Exchange Act regulatory obligations, SEC and CFTC registrations, examinations and enforcement actions, cross-border management and other related corporate and transactional issues. He also counsels clients on the developing laws and regulations related to cryptocurrencies and digital tokens. During law school, James was an editor of the Michigan Journal of International Law. He also served as a judicial intern to the Honorable Stephen J. Markman of the Michigan Supreme Court.